Reuniting Siblings In Lincoln, Neb. : Participation Nation Camp Catch-Up enables children separated by foster care and adoption to spend a fun-filled weekend with their brothers and sisters — at no cost to the families. 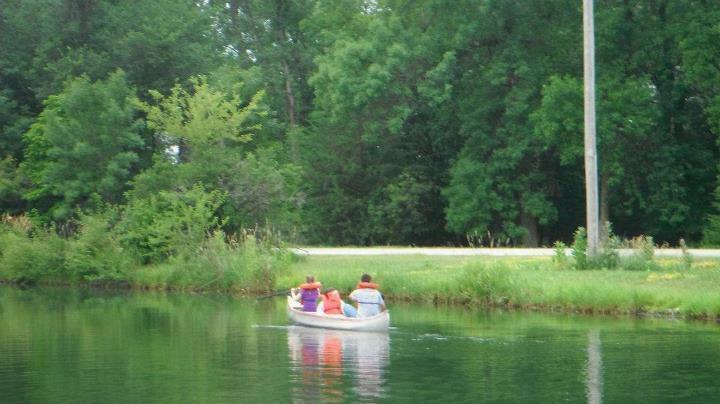 Camp Catch-Up, hosted by the publicly and privately supported Nebraska Children & Families Foundation, enables children separated by foster care and adoption to spend a fun-filled weekend with their brothers and sisters — at no cost to the families. Whether campers haven't seen their siblings in a week or a year, they bond at camp as only siblings can, through activities structured to bring them together. Both campers and staff return, year after year, because, as the camp song says, "There's no place that I'd rather be than here at Camp Catch-Up, just my siblings and me." Nick Vaske, a Medical Records Specialist, listens to KUCV.